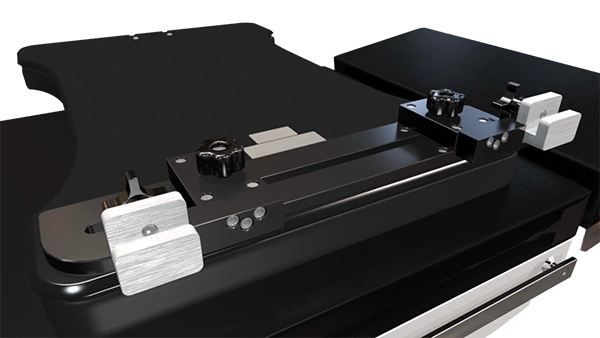 The ISI Advanced Universal K Table is a hand/arm surgical table designed to offer accessibility for surgeons, technicians, and equipment during orthopedic procedures. This Advanced Universal Table features an hourglass-shaped radiolucent carbon fiber composite top and a single-post leg for more access room underneath the table. This table is equipped with slider brackets that can be placed anywhere along the side rail of an OR Table. The Slider Brackets can be adjusted for a very narrow fit to straddle the dowels of the side rail or to span between two sections of rail. Easy to adjust and lock, the slider brackets provide the best fit for your OR Table. Attaches easily to any operating room table with side rails using standard mounting brackets or optional under-pad mounting bracket. 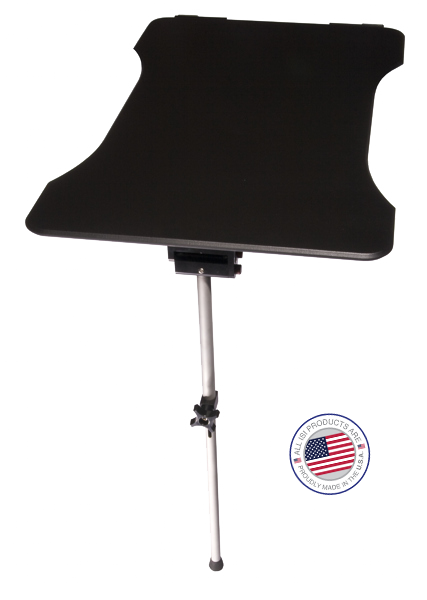 This table is portable and folds for easy storage using the optional ISI specialty table rack. Width >> in: 22 ¼"
Height Range for Leg >> in: 28 - 35"